It always make my kids giggle whenever all of my examples end with food related subject, whatever may be the topic. While teaching chemistry, it happened to be ending with the basics of food and actually may be they are right. I was always oriented towards food from my childhood. My knowledge of atlas is regarding ingredients, spices, techniques of cooking etc and everything is food-centered. I know the people by what they eat, how they eat and most importantly what they love to eat. Surprisingly, today my reading habit is also growing towards food only, "mind blocking :-D !!" Anyways, I remember my childhood days when we did not have options to stay connected with friend and families digitally, we used to spend our leisure time playing various indoor and outdoor games and hunting treasures from libraries. Our best holiday after annual examination was in the winter. I love to recall how I used to spare my times reading adventures or science fictions and also novels with mouthful of pickles in the afternoon, which my mother used to make specially for those days for me at that time and I am engaged with the same pleasure for my kids now. 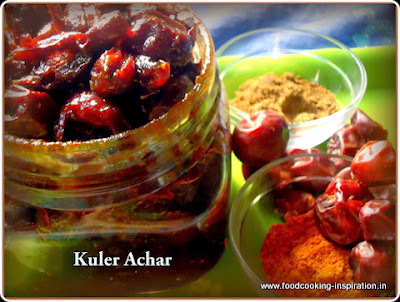 Both recipes "the kuler achar and kul tutti-futti" are collected from my mother's treasure chest. She learned these tasty recipes from one of her friends to preserve this fruit for the year, which is very useful for home remedies of constipation. In Bengal, the leaves and hard nuts dust are used for hypoglycemic effects. Traditionally in India, the fruits are dried in the sun and the seeds are removed. It is pounded then with tamarind, red chilies, salt, and jaggery. Respectively, in China and Korea, sweetened tea syrup containing jujube fruits is available in glass jars, and canned jujube tea or jujube tea in the form of teabags is also available, although not widely available. Jujube wine, juice and vinegar are also produced. Jujuba pickle is best companion with fermented rice - panta bhat or pokhal in the hot summer days. A pickle, if you want to store longer, you have to make two jars of it. One big jar is for storage and one small jar for regular intake. Always use a dry spoon to avoid moisture while collecting a small portion for the regular use from the big jar and keep the big jar out of the reach of others. Whenever you decide to sundry the big jar again specially after the rainy season [as Bangalees do in the Bhadra month [pre-autumn], cover the mouth of the jar with a tissue or muslin cloth. Then keep the jar aside until it completely cools down, say for one day, then cover the lid and keep it safely in a dark place. This recipe can be used for the preparation of ready-to-serve pickles. For the perfect taste the "Raj badar" [topa kul টোপা কুল] type jujuba fruits will be needed . The fully ripe, well-developed fruits were washed with clean water. They were pricked using a fork. I mixed a dash of salt, turmeric and mustard oil with the fruits to avoid insects. Then sun dried until moisture content was reduced about 20%. Then mix the fruit with tamarind pulp, turmeric, and salt. Dry roast mustard seeds and red chilies with salt to make a fine powder. In a heavy bottomed pan put the jaggery to boil. Add enough water to liquidify it, bring a boil. Put off the fire. The scum formed at the surface of jaggery was removed using stainless steel spoon and liquidify jaggery was passed through the strainer to filter the sediments and darts. Now again take the jaggery in a clean karahi and put on fire, keep the flame low. After some time jaggery will reduce moisture sufficiently and will form thick brownish syrup, put off the fire. Soon after that add the ready fruits and give a good mix. Add spice powder, mix again. Put in a clean glass jar before it become cold. Keep the lid open to cool it down. Take a clean muslin cloth to cover the jar with a thread. Keep it at rest for 3 to 4 days. The Bengali style pickle will be ready by then. 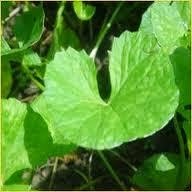 It appeared Jujubas were cultivated for medicinal purpose by the ancients of Chalcolithic age as an excellent tonic for all parts of the body especially for kidneys and lungs. It was frequently mentioned in Yajurveda, Sutras, Epics, and medical texts and other literatures authored by scholars such as Kautilya, Panini, and Patanjali. Root bark: Juice purgative, externally applied to rheumatic inflammations and gout. In India, the Jujuba plant is in the priority among one of the primary host plant for silkworm rearing grown as a host plant for the lac insect. In Korea, the wood to make the body of taepyeongso, a double-reed wind instrument and for many Go bowls. In Japan, the natsume has given its name to a style of tea caddy used in the Japanese tea ceremony. In Bhutan, the leaves are used as a pot pourri to help keep the houses of the inhabitants smelling fresh and clean. It is also said to keep bugs and other insects out of the house and free of infestation. In traditional Chinese wedding ceremony, jujube and walnut were often placed in the newly wed's bedroom as a sign of fertility. The fragrance of the flowers are said to make teenagers fall in love consequently young men will take a flowering soot and put in on their hats to woo the opposite gender in the Himalaya and Karakoram regions. In Burma, the fruit is used in dyeing silk. Ber or jujube is one of the ancient and common fruits of India and China. Hojmi [kul candy] - the best Available with the churanwalas outside of all schools in Kolkata, and Gariahat market, very much delight of the students and dismay of the parents. Why should I, because I have the recipe and my kids are proud of me. The dried fruits can be utilized for the preparation of candy. The dried fruits are deseeded and powdered and steeped in 40% syrup for 7-8 days to make this candy. The candy was also prepared from dried fruit by steeping them in syrup for 24 hours and cooking for 10 minutes. These days we would need to mention especially that this is a herbal product, added no artificial flavors or colors. I found one commercial tutti-frutti flow chart for the preparation of a bulk amount candy. 12. Dried in the shed for 48 hours. The berries are analgesic, anodyne, anticancer, blood purifier, cardiotonic, demulcent, digestive, diuretic, emollient, expectorant, hepatoprotective, hypnotic, hypotensive, immune tonic, invigorating, mild laxative, nutritive, pectoral, refrigerant, rejuvenative, mild sedative, spleen tonic, stomachic and a tonic. It increases immune-system resistance and reduces allergic reaction. It is also used to rebuild strength and stamina when the body is in a weakened state such as during convalescence or chronic fatigue syndrome. It is also used as a nutrient to aid weight gain and to improve muscular strength. It is also prescribed as a tonic to strengthen liver function. Taken orally, the Jujube fruit is used to relieve hoarseness, voice loss, inflammatory throat infections, coughs and bronchitis. The berries offer excellent support for the adrenal glands. They help tonify the heart, calm the spirit, strengthen the stomach and spleen, normalize bodily functions, enhance the secretion of body fluids, nourish blood and improve the complexion.